Discussion in 'More News from Your Google TV News Team' started by Rickaren, Mar 13, 2011. 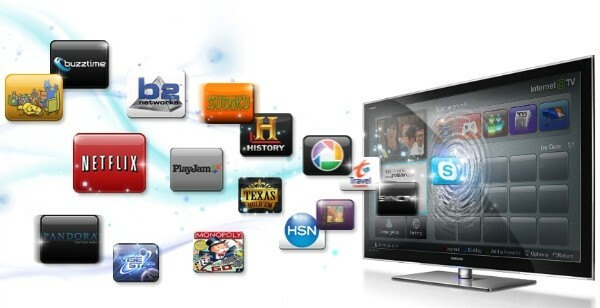 This January,Vizio became the second major TV manufacturer to announce its support for Google TV at CES 2011. Samsung and LG also rallied behind the idea of "smart TV," with the former announcing results of a "Free the TV" competition designed to encourage television app development. After years of serving mostly as a display for other development platforms such as video game consoles and TiVo, it seems the TV is ready to serve as a connected platform of its own, not wholly unlike the PC and smartphone. However, there are two things standing in the way of the television as a platform to lead interactivity in the home -- a lack of access to the core video assets, and the separation of user interface from display. Faced with varying definitions, let's borrow a broadly accepted if oft-maligned convention from the handset market to define smart TV -- a connected TV can access Internet video services, but a smart TV must offer access to third-party applications via a freely available software development kit. Regarding connectivity, let's argue that a TV should have the ability to directly access streaming Internet services such as Netflix, YouTube and Hulu Plus. Indeed, Netflix recently disclosed that, despite all the attention lavished on the hot-selling iPad, Apple TV was already delivering more movies than Apple's tablet. While broadband provides the opportunity of nearly unlimited choice and the challenge of navigating it (both addressed if not yet mastered by Google TV), broadband video services simply replicate and expand a passive video experience with the exception that nearly all of it is delivered on-demand. To encourage an active stance, TV manufacturers need to build in basic codec support for playing personal videos off flash cards and external drives as well as videos accessed over a home network via DLNA. But for some time to come, Without control over core video assets, TV apps become constrained and far less interesting. these will be supplements to the cable and cable-like services subscribed to by most Americans. A decade of failure has dogged even partial attempts such as CableCARD and Tru2Way for wresting control over this video. Without this level of control, TV apps (beyond those offering access to broadband "channels" such as YouTube or Amazon on Demand) become constrained and far less interesting. In contrast, even the restricted environment of the iPhone offers developers a wealth of access to the core phone capabilities. However, one of the crucial phenomenon that launched the smartphone to such heights is missing in the realm of the TV -- the upgrade cycle that keeps consumers buying new handsets every couple of years. While a hot new codec seems to pop up every couple of years and some require more advanced hardware, TV manufacturers can typically cover the average consumer's needs over much of the life of the television. In contrast, PCs are adaptable products that can be partially upgraded in most cases, and carrier subsidization and discount programs provide a de facto upgrade option for smartphones in the US, thereby continually providing a richer platform for development. Related to that, the most interesting gap that smart TVs fail to close is a physical one  the experience-defining 10 feet of distance between the device itself and the viewer bridged by the remote control. But smartphones and tablets can do much more than just control a TV, they can be intelligent AV devices themselves that will -- as per the point above -- continue to have much shorter upgrade cycles than the home AV products they emulate. And in the case of smartphones, one is increasingly likely to be already nearby. As we start to see the introduction of more technologies such as AirPlay, WiDi, WHDI, and WirelessHD incorporated into handsets, they will be able to take the riches of their platform to the big screen with increasing ease. This will clearly open up a new battlefront in the war with the cable companies to keep Internet-delivered broadcast and cable content off the big screen and widen the app gap with smart TV. When you sit back and think about where technology is and where it is going it is really exciting. As I am typing this from an iPad knowing that this iPad can not only control my TV, DVR, AVR, BluRay, my lights and basically everything. Now I can wirelessly send any media on it to my TV. That is all really cool and as this becomes more common place the networks and cable companies really need to either shut up or put up. If they don't they clearly will be left behind. People who are buying products like GTV and Boxee are literally reshaping the way we consume content. While we are the trend setters now in the next few years I will be able to go to any friends house and share music, pictures or video right on their TVs. This is honestly revolutionary. It stinks that the networks don't get it right now but this overwhelming is where we are headed. Very well said! I remember the Networks trying to stop production of VCRs and DVRs or having Congress limit what could be recorded or skipping their paid commercials because of the same mindset. As always it is all about money and profits and how THEY can make it. Radical changes are just around the corner for them, as well as Cable and Satellite due to what we now call Smart TV, using the Internet (now in most homes) and streaming. Yes the future should be interesting.